It is surprising just how many "fossil" trackways are in every community. 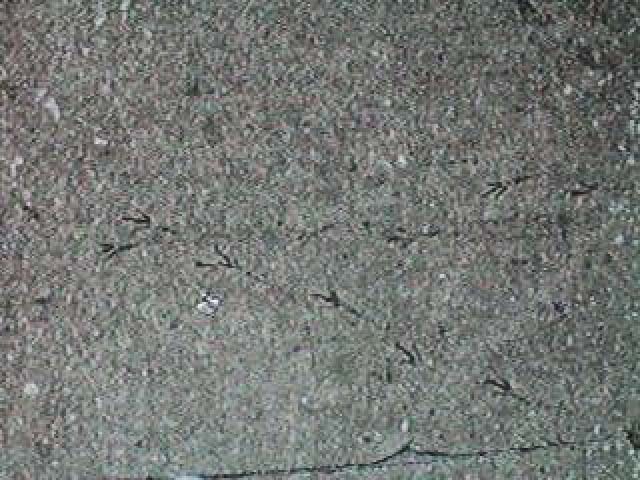 Dogs, cats, birds, and even people often make a leave trackways excellent trackways in cement. 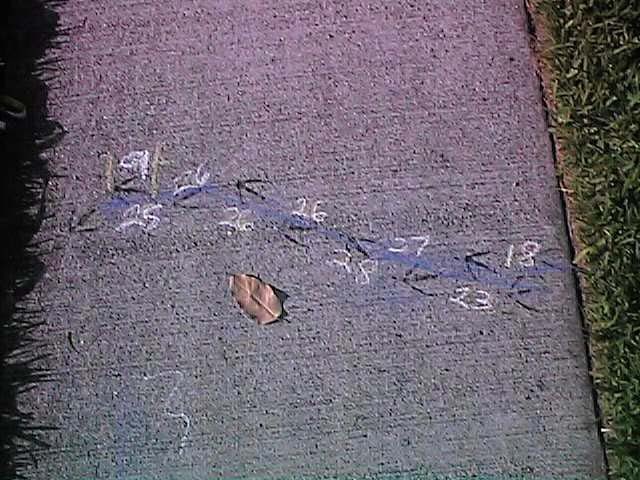 If you look around your school and neighborhood you will most likely find a few trackways left in cement. 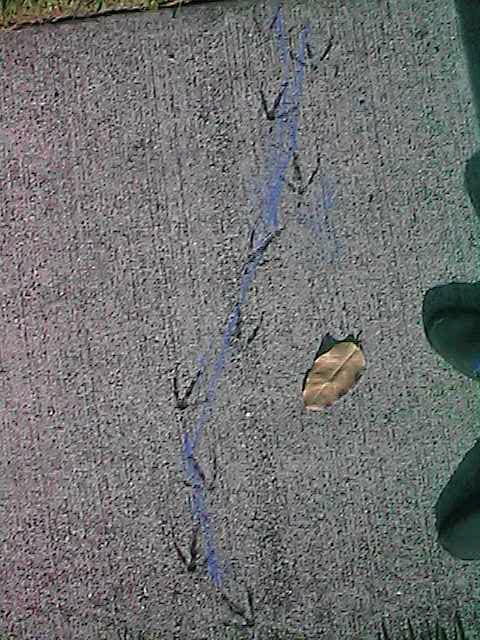 I often find trackways left by birds and pets that were made while the sidewalk cement was still wet. 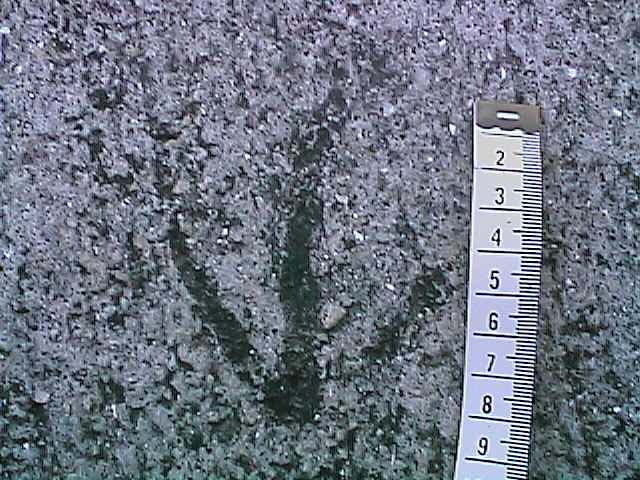 To get some dinosaur tracking practice, start by taking a walk around the school or in your neighborhood and try to find some of these cement trackways. Once you find one you can use that section of the sidewalk trackway to calculate the speed of the animal as it walked across the wet cement. 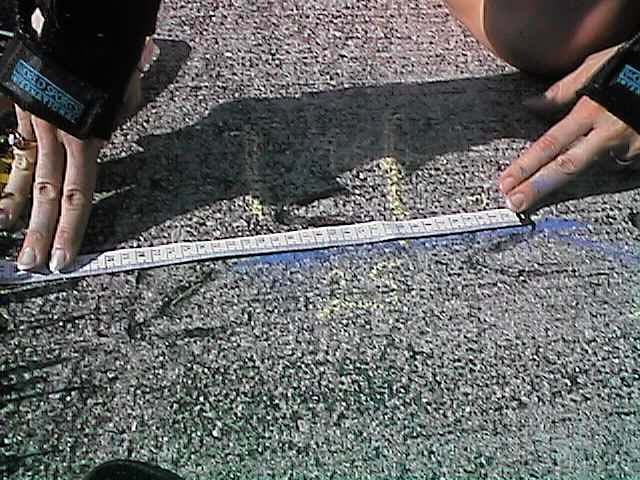 To do this activity you will need a measuring tape, some sidewalk chalk, and a notebook to record your measurement. If you have one, a digital camera can also be a great tool. 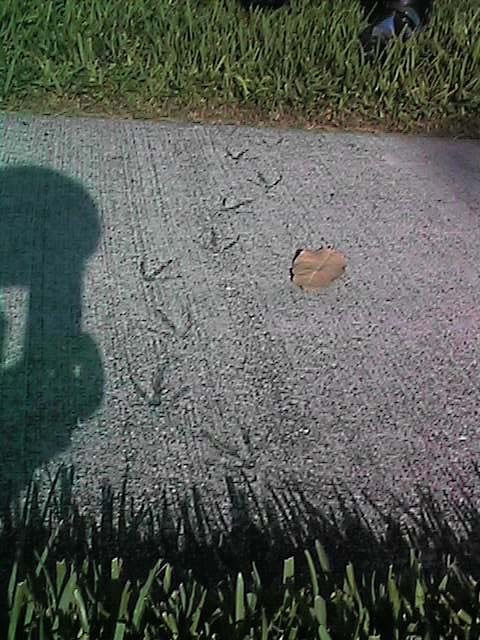 In the picture to the left, while skating, I found a trackway made by a duck as it walked across the sidewalk on the way to a pond. The picture on the right was made by a smaller bird (notice the dime that was used for scale). 1. 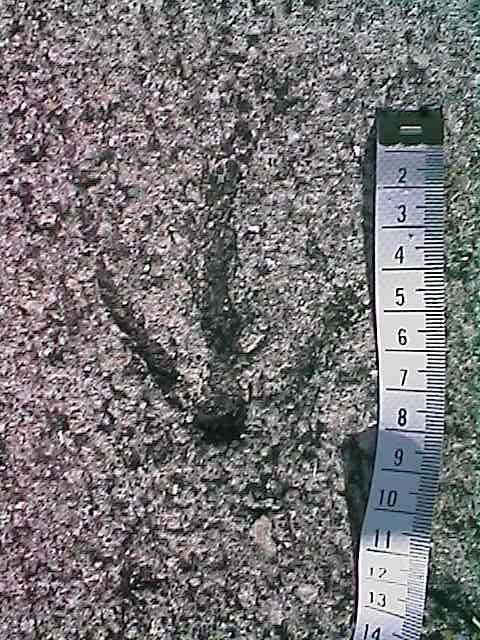 When you have found a trackway, start by measuring the foot length. Sometimes you don't have a really clear print, so it is necessary to measure a few of the prints and take an average. Use the formula F*4 (foot length times four) to calculate the hip height of the animal. 2. 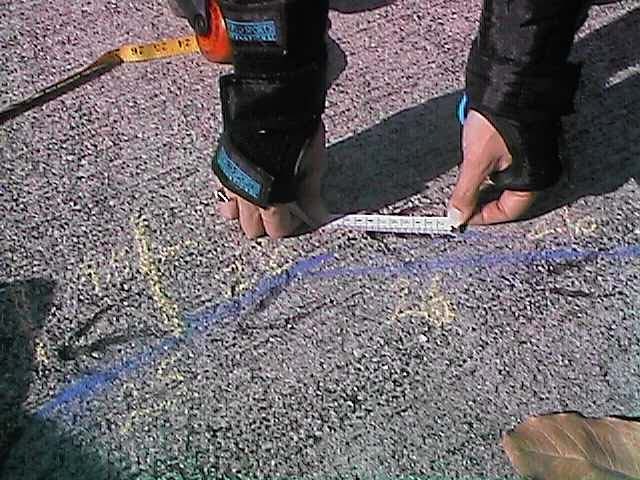 Use some chalk to outline the trackway and to mark your measurement. Pick a spot on the foot that you can use, such as the back, front toe, or center and mark that on each of the prints. Also, number each of the prints, starting from the back and moving forward. Now draw a rough diagram of the trackway in your notebook. 3. Now measure the stride length for each set of prints. Remember that the stride length is the distance from one right footprint to the next right footprint, or the distance from one left footprint to the next left foot print. Record your measurement in your notebook. 4. Use your notebook to create a table of the data, and then calculate the speed during each stride.